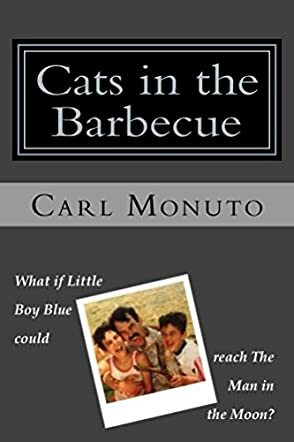 Cats in the Barbecue: A Novel by Carl Monuto is an interesting read that features family drama and explores the dynamics of father-son relationships. Is it really important for sons to have fathers in their lives? David isn’t an articulate man and he’d rather keep his emotions to himself. He is a graduate student with a lot going through his mind. Pulled into a proposal for a marriage he thinks is a “marriage of relinquishment” with Meredith, aka “Mere,” David learns about his father’s illness, a man who’s stayed distant from him over the years. He makes a last desperate attempt to reconnect with his father. Follow him and a host of characters, and scheming aunts, as they engage in barbecue, poker, and alcohol. Can the bond that once held father and son together be restored? Carl Monuto won my heart with his prose and I enjoyed the unique turn of phrase — the short sentences, the evocative style, and the author’s ability to bring out the finest emotions of his three-dimensional characters. David and Meredith are an unusual pair and readers will follow the way their relationship evolves through the narrative. I couldn’t help thinking all along that the silent David might explode at any moment. The author handles the theme of family in a deft manner and readers will be pulled in by the humor and the drama. Cats in the Barbecue: A Novel is a fine drama with compelling characters, a conflict that is well developed. The author succeeds in holding the attention of the reader from first to last page, thanks to the humanity of the characters and the realism that floods the writing.